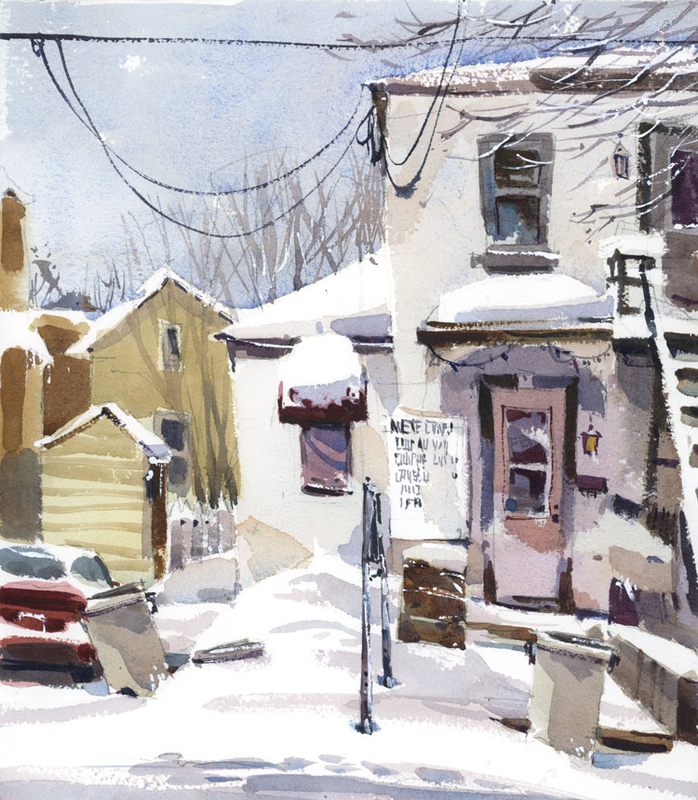 [by Shari Blaukopf in Montreal, Canada] It's a great winter for snow painting in Montreal. Occasionally the temperature goes up and it rains, but magically the next day there's snow covering everything again, and what doesn't look good with a little snow on top of it? Even trash cans become exciting. Someone once commented that I like to paint snow because I only have to cover half the page with paint. I guess that's true. Of course when the sun comes out the shadows on snow are amazing and my favourite place to paint trees is in the cemetery. 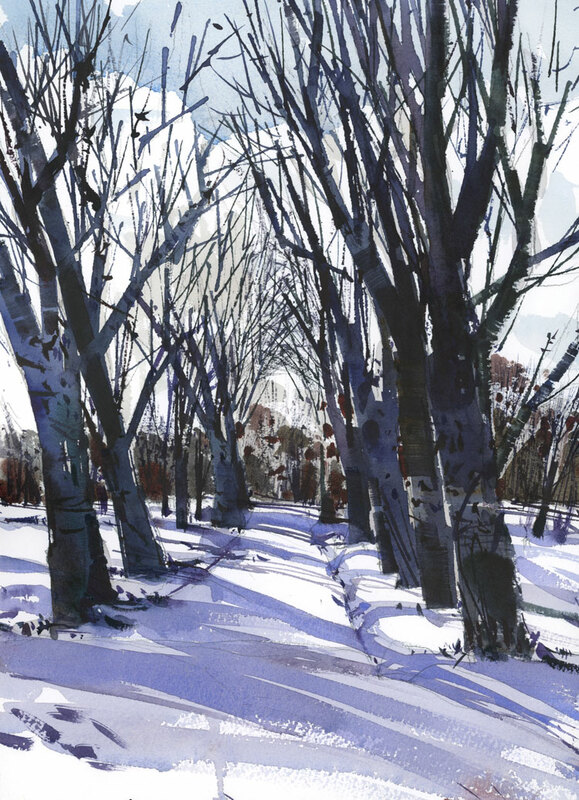 There's a hilltop where I have a great view down a path, and if there's no funeral procession I can paint uninterrupted for a few hours, if I can stand the cold in my car. 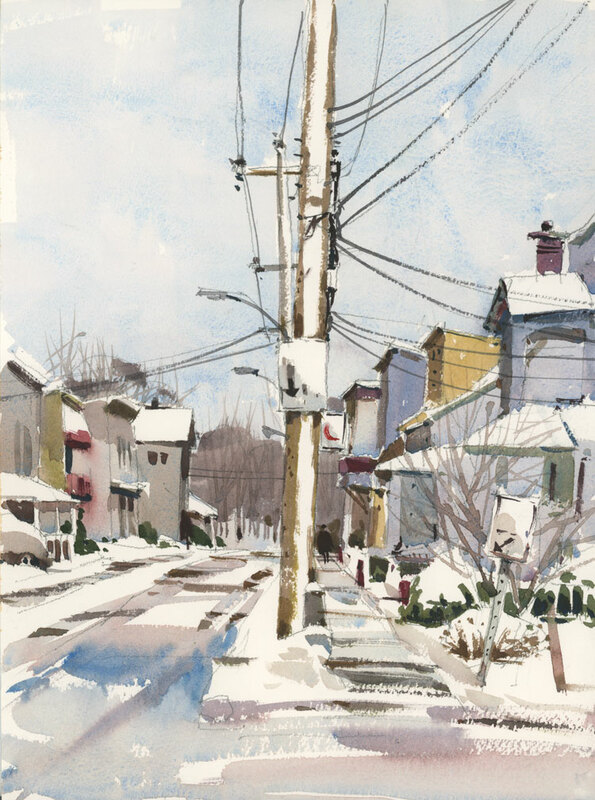 The best day to paint this week was right after a snowfall when everything looked like it had been spray-painted, including the vertical surfaces like utility poles and road signs. On days when it's too chilly to paint in the car, I try to find a view from my kitchen window. 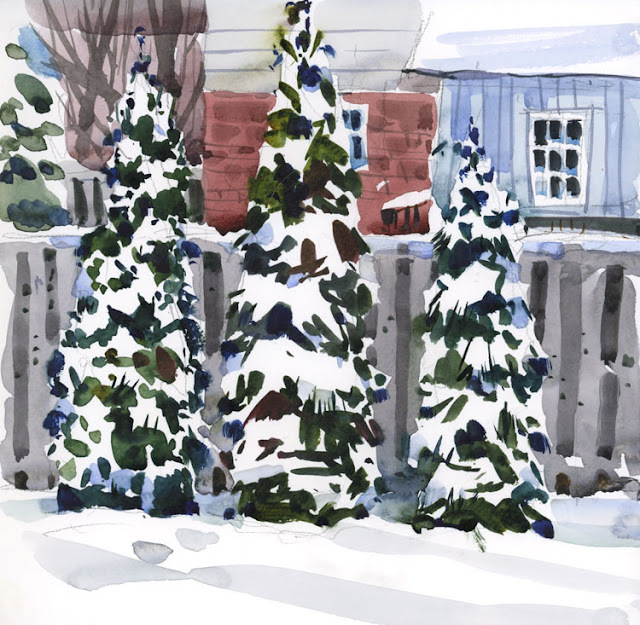 The row of cedars is pretty boring most of the time but again, with a little snow on them, they are an exercise in negative painting.